Hungary has a track record of text digitalization, even one of the finest OCR software (Recognita, now owned by Nuance) was developed here. The society is highly accustomed to the short supply economy, and quickly finds alternate sources. These two reasons led to the late 90's, early 2000's years, when hard-to-find titles got digitized and shared, quite openly. In August 2005 a major debate forced those sharing communities „under the ground" but the then-present self-control which limited the digitizing and sharing activities mostly to older publications had been disengaged as well, and the scope of unauthorized digitalization got wider, and covers contemporary bestsellers as well since then. The only governing factor of the unauthorized digitalization is popularity. If a certain title gains popularity, it gets turned into some electronic format. The level of popularity sets to span of the process, from few weeks to few months. If a title gets pirated it is popular, and vice versa. As a side effect civilians become proficient in electronic content creation, and reached far more capable levels than the entire publishing industry. The good news is, that the expertise can be utilized now officially. Not everyone become such an expert, but lots of the early adopters become fairly aware, how they want to read their electronic publications. Generally, everything popular. General fiction, sci-fi, fantasy, romance, just about anything. Certain populations is hardly addressed by the current practice of the Hungarian publishing industry. One such group is the people with reading issues, from dyslexia to eye problems/blindness. To them, the enlargeable fonts, and the text-to-speech conversion of an electronic publication are the only viable option to consume texts or books. The other group is the continuously growing number of native Hungarian speaking people abroad. In the history of the 20th century there were several occasions and waves, when large amount of the population found itself outside of the border, or decided to leave the country. This trend is still in place, and accelerating. The total figure for this group is millions, the number of emigrants from the last decade is a few 100.000. To them electronic publications are an easier option to keep the connection to the country, to the Hungarian culture. Due to the lack of proper supply, these two groups become significantly involved in the unauthorized digital replication. Several unofficial studies had been performed in the past few years. The general agreement on the customer side was, that the electronic version should be considerably cheaper, than the printed edition. The expected price range should be between 500-1500 HUF, possibly go up to 2000 HUF, with the exception of textbooks, as they are paid by companies and institutions, (and the content is more valuable), so textbooks can be more expensive. There is a contradiction however. So far only four (4) titles passed the „100-sold-copies" barrier. Their prices are the following: 990 HUF, 1500 HUF, 2290 HUF, 2990 HUF. What is even more interesting, that the last three title do have pirated versions, not stolen electronic ones, but genuinely scanned-OCR-ed-proof read copies, and still reached this serious achievement. 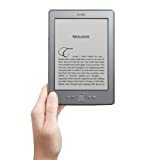 As the 80% of privately owned dedicated (e-ink) readers is some version of Kindle, the mobi format is mandatory. Others read on tablets, smart-phones, even on desktop machines. So epub is also required. Not a small amount of readers consider pdf as a legit e-book format, and for certain text complexity it is the only viable option. So pdf can be optional, except certain areas, such as comics, textbook, educational publications. Hard DRM is generally unacceptable by the customers. Any investment to hard DRM, such as Adobe Content Server was simply sunk cost. A few parties had tried, and when they abandoned, the sales figures started growing significantly (compared to the hard-DRM era). On the other hand soft-DRM is fully acceptable, even popular when used properly. E.g. on book fairs, real personalized electronic copies were generated and sold. Soft DRM-ed copies exist on the market since end of 2010 and zero such copy was pirated. Titles were, but from the paper version. And soft-DRM is the only option to address the Hungarian Kindle users without Amazon, who is not carrying Hungarian titles. The largest is Amazon, with a share of at least 80%. No local branch, only exceptional customer support from the US. Lately local stores and retailers started to sell older Kindle variants. The rest is covered by one big, and several smaller device merchants, selling mostly Jinke (labeled as Koobe in Hungary), Onyx, PocketBook, iRiver and Sony devices. Occasionally Nook also available in local stores. The estimated figure for e-ink devices is somewhere between 50.000-100.000. As the bottom price for e-ink devices sunk under 30.000 HUF, there is a great expectation for 2012 Christmas season, most probably there will be a boom for such devices. The tablet market emerges far more rapidly from the very cheap models to the latest iPads. Same is true for smartphone penetration. Challengers. They challenge the entire e-book possibility, and try to ignore it. No e-books, not even plans to produce e-books. Someone with the intention to publish electronic content should avoid them. Sometimes they masquerade themselves as "Thinkers". There are four key players in this area, with significant experience and market share. In alphabetical order: digitalbooks.hu, ekonyv.hu, fapadoskonyv.hu and multimediaplaza.com. All of them are capable of commercial level conversion (in terms of capacity and quality), have web shops and professional customer care. Companies with solid background in printed books may have little intention to participate in the e-book industry. Among them currently there are the two largest book merchants, Alexandra and Libri with no sign of e-book commitment. A third one, Sanoma is a constant underachiever, currently carries epubs only (no mobi), a very limited title-portfolio compared to the printed ones, and (probably) hard DRM. A Challenger in Tester disguise? The largest merchants have a significant impact on the Hungarian book industry, they even have shares in multiple publishing firms. 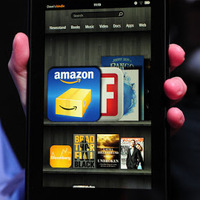 If they (Alexandra, Libri) are repulsive toward the e-books, so will be the publishers controlled by them. There are two large projects providing free Hungarian content legally. MEK is an electronic library collecting all kind of electronic publications, and keep the titles freely available, when the rights allow. It is state funded, as MEK is part of the National Library, but the authors (mostly deceased), or heirs generally not compensated for their contributions. MEK performs digitalization services as well, and supports e-book formats natively. The other is DIA, a collection of contemporary literature. Selected Hungarian authors are compensated by the state, so their oeuvre become publicly available. DIA carries the texts in very high quality, but in html/xml. Readers have to convert the sources to e-books for themselves. Generally the titles with available e-rights are present in the Hungarian e-book market. Mostly Hungarian out-of-print (or older, classic) ones, the foreign titles are fairly rare. Parallel editions (electronic and pre-printed) also quite rare. One of the leaders is a Print-On-Demand company too, so lots of e-books are available in Print-on-Demand version. Apart form the classics, several "niche publications" are available in electronic format, titles which are unlikely to generate sufficient revenue from a normal print version, but still too valuable to remain unpublished. Due to the focus of some the publishers from the above mentioned "Leaders" group, sci-fi is over present among the successful titles. The above mentioned TOP4 are SF, SF, Young Adult/Fantasy, and Adult/General Fiction. Publishers on the low side tries to generate large volume, and visibility, and probably have good conditions and prices for the electronic rights. Publishers on the high side believes, that the price is also a value indicator, so they position their titles among the valuable literature, risking that the too high price tag will forward the possible customers toward the pirated versions. Nagyon köszönjük a cikket! Remélem, segíteni fog a külföldi jogtulajdonosok meggyőzésében.